This is not good and I'm going to be in trouble, but I'm afraid I was gasping for a drag on a nineteenth century novel.There was no kicking the habit, I've stayed off them for months but now I'm inhaling again like a thing possessed. I'm afraid I'll be back up to 200 pages a day again in a flash. All this modern fiction just doesn't have the same effect. I've stretched the ban imposed by Miss in the VW class (please don't dob me in) and in fact this one's French so that doesn't count anyway.I have made an effortless, 100+ page, complete and total immersion start with The Ladies' Paradise by Emile Zola. You know that T.I. feeling as you read, the one where you feel completely in tune with the book, you're sitting very comfortably thank you in the world you've just entered, cat can bring in a live mouse...who cares? Large spider crawling up wall...so what? If you are forced to put the book down you just count the minutes until you can pick it up again.Well here's such a one. 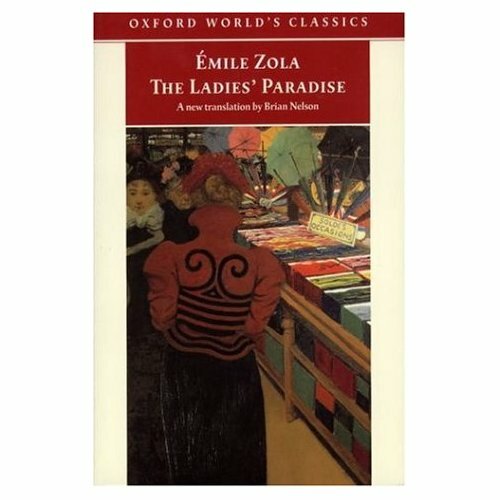 The Ladies' Paradise recounts the "spectacular development of the modern department store in late nineteenth-century Paris".I've read Germinal, gritty but very readable stuff and there you have the sum total of my previous encounters with Zola and his naturalism. It's all set me off on a bit of a ferreting mission and a few books have come to light to back up this read. 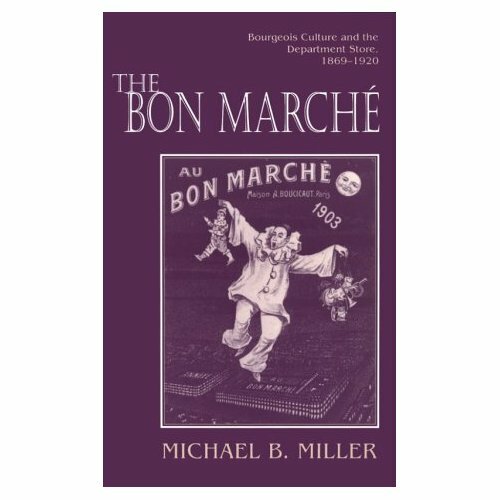 The Bon Marche: Bourgeois Culture and the Department Store, 1869-1920 by Michael Miller and The Department Store: A Social History by W.Lancaster. 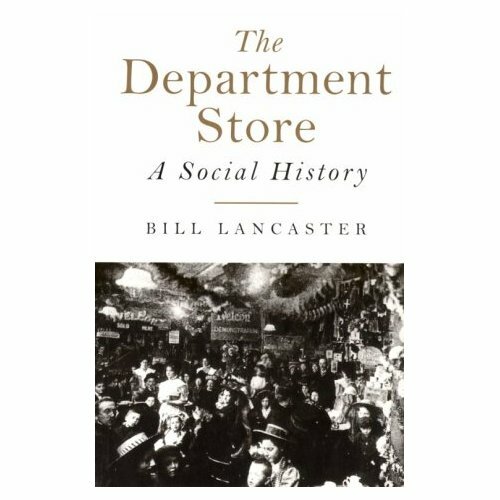 Zola was famed for his meticulous research methods so no surprise that he spent hours each day in the Parisian store The Bon Marche.I don't recall him shopping with me though, but he must have done or perhaps it was CraftyPerson he shadowed? 'And this?' Madame de Boves asked her, examining a remnant of guipure. I'm already enthused by The Ladies Paradise and looking forward to the companion reading trail plus an inevitable on-going Zola-fest, I had quite forgotten how accessible his writing is. I'll pronounce on this little foray very soon, probably from the corner to which I will undoubtedly be sent when found out.